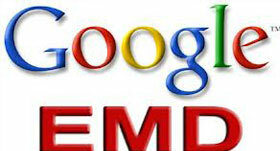 Search Engine Giant Google released EMD update; SEO experts are on their drawing board again. EMD stand for Exact Domain Match, for example if your keyword is Travel Web Developers your domain would be travelwebdevelopers.com, Wait… it does not mean that if your website domain is EMD you are penalized or vice versa. All the domain names are EMD’s. E.g. www.456catmasterman.com exact match key word is “456 cat master man. Even though it is not a commonly used keyword, still it s a EMD. So Google EMD does not apply to EMD sites. Basically Google is slapping Sites Not for Being EMD’s, But for Other Factors. Google “type” of site that targeting to misuse the EMD edge or other on page factors. So Google is penalizing for signs of EMD misuse, and not just penalizing for being a EMD. Hopefully you got the answer & calmed your EMD update panic just a bit. We’ll update more on these new algorithm changers. Until then don’t jump out of a bridge.